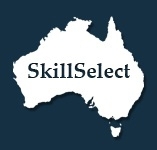 What is SkillSelect and what is its role in Australia Immigration? An important change to the skilled migration program of Australia, SkillSelect has made the selection process of overseas skilled workers to Australia much simpler and swifter. Through Australia SkillSelect, the economic needs of the country are targeted through skilled migration programs. It helps the Government of Australia in guiding when, who and how many people can apply for skilled migration. As a result, the Australian Visa application process is expected to reduce significantly. Overseas workers skilled workers who wish to migrate to Australia need to have their skills assessed before they are eligible for the skilled migration program. Regional skill shortages are also addressed through SkillSelect, where intending migrants are allowed to express if they are ready to stay and work in regional Australia. Particularly, this will be beneficial for employers who are experiencing regional skill shortages and for territory and state governments who are trying to settle migrants in regional Australia. To help facilitate business people and skilled workers who are interested in migrating to Australia, SkillSelect can be used to record their details so that they can be considered for a skilled visa through an EOI (Expression of Interest). People who are planning to migrate to Australia can then be selected and nominated for Australian skilled visas by employers situated in the country or territory and state governments, or the Australian Government may invite them to lodge an Australian visa application. Effective 1st July 2012, all the people who intend to migrate to Australia through the business investment and innovation programs or points-based skilled migration visa programs, must submit an EOI and receive an invitation before they are allowed to lodge an Australian visa application.